The departure of a senior UK advisory banker underscores the lender’s lowly status among global investment banks. Year-to-date M&A fees are broadly half what they were in 2015. But a focus on trade-related income means boss John Flint needn’t chase pricey dealmakers. 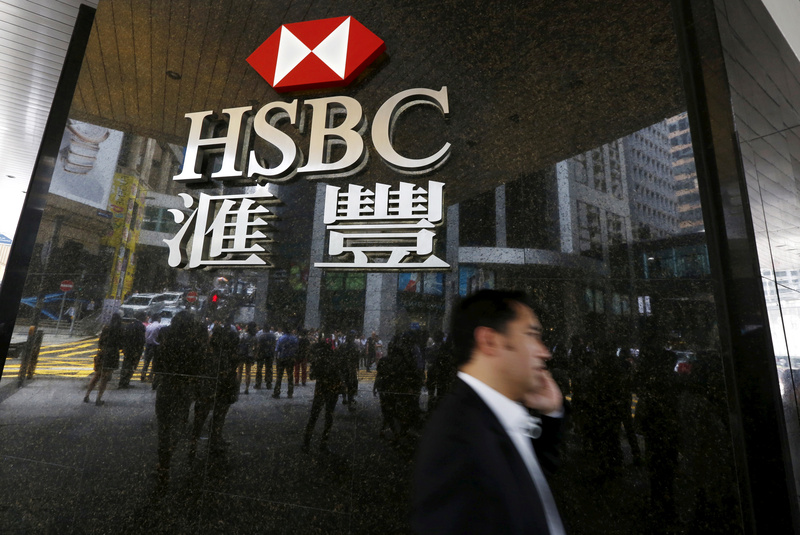 A man walks past a logo of HSBC outside a branch at the financial Central district in Hong Kong, China June 2, 2015. Philip Noblet, a senior British dealmaker at HSBC, is leaving the bank to join rival Jefferies, according to a report in the Financial Times newspaper on Aug. 21. Noblet is the latest in a string of senior investment bankers to have left the Asia-focused lender this year, according to a Reuters report on May 31. In June HSBC appointed Kamal Jabre, formerly of Morgan Stanley, to be its new head of advisory. Last November, HSBC announced that Matthew Westerman, who was brought in to try and reinvigorate the investment bank, was leaving. Since his departure, several senior HSBC bankers have questioned the lender’s commitment to advisory work, according to the FT article.